Kidneys are an essential functional part of our body which is responsible for blood filtration and removal of unwanted toxins and excess fluids in the form of urine. But many times people face the problem of kidney swelling that is mainly caused due to lack of intake of water in the right quantity. Kidney inflammation is mainly caused due to infection and disorders. The swelling up of the kidney is also termed as nephritis which is a cause of serious concern as it can prove to be really harmful by causing improper function that a kidney is supposed to perform. Kidneys are very important for waste removal, and blood filtration thus should be in a proper state so that these functions are carried out in a proper way. But a swollen up kidney can hinder the smooth performance of the kidneys thus this needs to be cured up properly. You can surely visit a doctor to gain a proper treatment, but apart from the treatment, there are many home remedies which can act as natural supplements for kidney health. 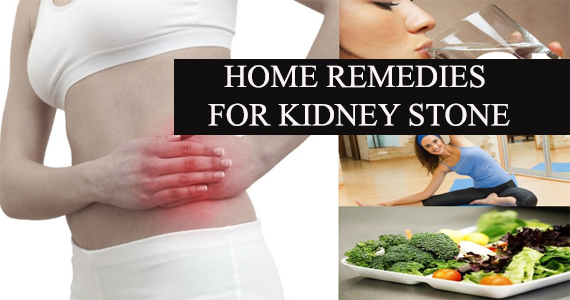 Here are some home remedies that you can follow at home to avoid the problem of kidney swelling. The kidney swelling is also caused due to lack of water and staying hydrated is the only way out to solve this issue. You can have different types of fluids and liquids to keep yourself hydrated and to prevent yourself from kidney stones. Liquids are very helpful in detoxifying your body and flushes out the unwanted toxins during the passage of urine. Carrot juice is something that is really helpful in reducing the inflation of the kidneys. You can mix carrot juice with a spoon of honey and lime juice and stir it well before drinking the carrot juice. It is advisable to have this juice on an empty stomach to get better results. Another liquid that can be really helpful for resolving this issue is to have cranberry juice. Cranberry fruit has antibiotic properties thus is a curing element for kidney swelling ailment. But ensure that you are not buying packaged juices, go for fresh cranberry juices which will help you to reduce the kidney swelling. Talking about liquids, there is yet another liquid that you can have to cure kidney swelling, and that is ginger juices. Yes, you might have surely made faces hearing the word ginger juice, but it is really helpful as a curing agent. Ginger acts as an anti-inflammatory drug which suppresses the prostaglandins which is the main reason for the swelling up of the kidneys. So though drinking ginger juice may give you those goose bumps but it is a real handy home remedy to solve the kidney swelling issues. People who suffer from this kidney swelling problems can also have avocados; these dry fruits are rich in mineral contents and have a very minimal amount of proteins which can be really beneficial for the ailment. Fruits are also helpful in resolving this issue; you can have bananas and grapes to reduce the kidney inflammation. Bananas are rich in carbohydrates and proteins and a very minimal amount of salt, thus should be consumed in proper quantity if you are suffering from such health issues. Do remember that consumption of salty ingredients can worsen the condition, so avoid eating food that has salt contents. You can also have grapes which are diuretic and helps a lot in reducing the kidney swelling. Vitamin A and vitamin E are kidney health supplements that you can have to make your kidney function in a proper way. Vitamin E helps in increasing the urine volume which helps in reduction of kidney swelling whereas Vitamin A helps in renewing and restoring the damaged kidney tissues. These vitamins help in boosting up the recovery process, so you can have food that is rich in vitamin A and E so that you have a speedy recovery.